"Agricultural diets would have led to a higher consumption of grains and other plant-derived foods, relative to huntergatherer populations. Alleles that increase the rate of conversion of SC-PUFAs to LC-PUFAs would therefore have been favored". "The adoption of an agricultural diet would have increased LA and decreased ARA and EPA consumption, potentially causing a deficiency in LC-PUFAs". This is something I have thought about, in more general terms, for some time. 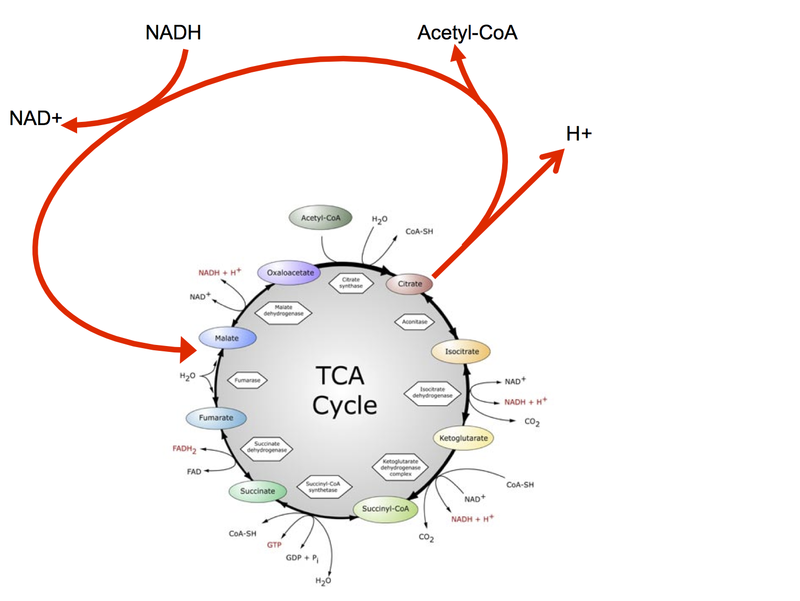 At the time of the switch from hunting animals for their fat to growing grains for their starch the paper suggests that there was a population-wide potential deficiency of the longer chain PUFA, arachidonic acid, EPA and DHA. This applied a selection pressure to the population. Within the population there was a random distribution of the ability to elongate and desaturate linoleic and alpha linolenic acids to their longer chain derivatives. People who had this ability in generous amounts did well. Those without, didn't. What happened to those people who were "without" the lucky gene snps to survive well without animal derived lipids? They didn't "develop" the genes, no individual suddenly develops a better gene. Their intrinsic inability means they didn't reproduce as successfully. Their genes are currently under represented in the gene pool today. It has always struck me that the process of getting poorly adapted genes out of the gene pool is what we describe as pathology, illness. Trying to patch it up is what we call medicine. Individuals don't adapt. They either do well or badly. The population "adapts" through the illnesses of those whose genes are not appropriate to the new environment. The adaptation of our species to the novel situation of agriculture is far from complete. On-going adaptation of a species to a new environment is via the suffering of the individuals with genes more appropriate to the previous long term stable environment. The default for a person with on-going pathology might be to step back 10,000 years rather than continuing to assist evolution of the species via personal pathology. A lot of pathology will be needed. 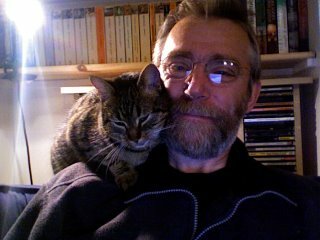 Miki Ben-Dor has a nice post along these lines this on his blog. Of course the adaptation to sucrose and bulk seed oils has only just begun. LOTS of pathology needed to adapt the species to those two! Juvenile onset type 2 diabetes is what we call the process. Just a one-liner to bookmark the death of Repatha. PCSK9 inhibitors have bombed and the cardiology community is in complete denial. Now this is nothing new, it happens on a regular basis. Repatha produced a massive drop in LDL cholesterol and a small drop in cardiac end points. It also produced a small (ns) rise in both total mortality and cardiovascular mortality. I have altered the sentence which used to be here in response to a request from a PR company representing Amgen!!!!!! There's a post about it here. The red arrow indicates the release date of the FOURIER study data on March 17th 2017. 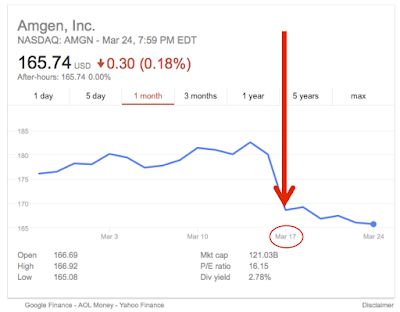 It's a acute adverse event signalling the failure of a blockbuster drug. The trend in share price also indicates the conversion of an upward trend in price to a downward trend at the time of this adverse event. As always, the cholesterol hypothesis is dead. It keeps on being killed but, obviously, it never lies down! 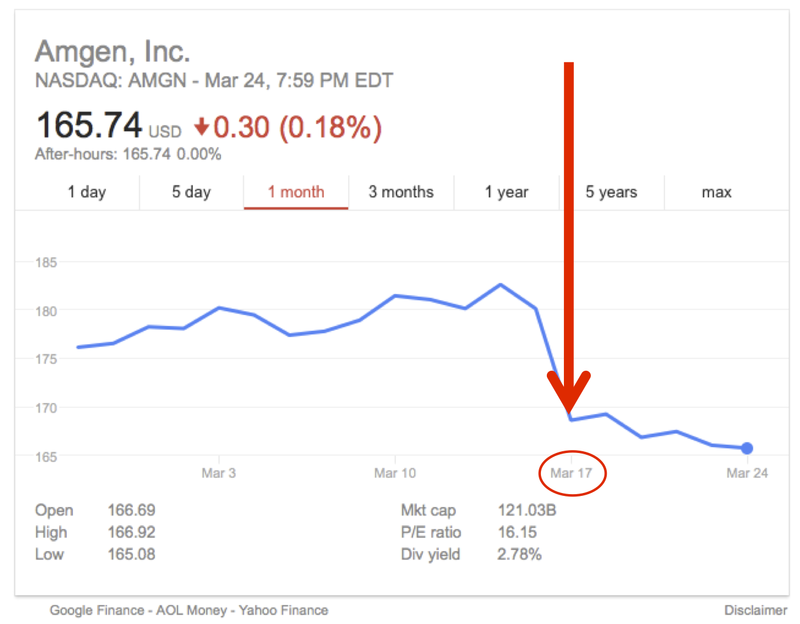 Amgen have invested an unimaginable amount of money in their PCSK9 inhibitor. This is a gross failure of basic research. A nerd with smart phone could have told them they were gambling on a very long shot. Will palmitic acid give you cancer or fuel metastasis? Again thanks to Mike Eades for the full text of this paper and to Marco for poking me about it. The executive summary: Both feeding a high fat diet to mice then implanting a certain type of cancer cells or feeding palmitic acid to that certain type of cancer cells pre-implantation makes the cancer much more aggressive once implanted. Up-regulating CD36 (described as a fatty acid transporter) has the same effect. So. The question is: Should we all abandon high fat diets because fat, particularly palmitic acid, appears to be a promoter of aggressive metastasis? I have thee things I'd just like to discuss. Cancer stem cell-specific scavenger receptor CD36 drives glioblastoma progression. "We confirmed oxidized phospholipids, ligands of CD36, were present in GBM [glioblastomas] and found that the proliferation of CSCs [cancer stem cells], but not non-CSCs, increased with exposure to oxidized low-density lipoprotein". 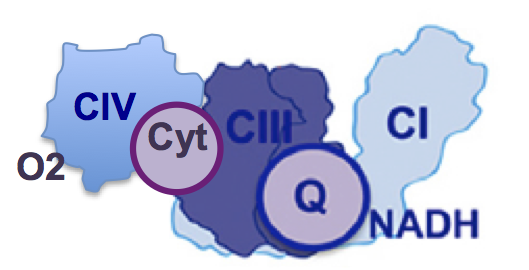 CD36 is a scaveneger receptor which promotes the uptake of all sorts of lipids and oxidised phospholipids. Of course you can't help but think of 13-HODE and all of the other oxidised omega 6 PUFA derivatives which might or might not have been available to be taken up using extra CD36 receptors. This was not the point of the study, the study was aimed at nailing palmitic acid, to which I will return. The second point relates to the mice fed the high fat diet. The mice were fed TD.06414, essentially the same as D12492. Scroll to the bottom of the page to see the metabolic effects! Lard and sucrose/maltodextrin, designed to produce obesity, hyperglycaemia, hyperinsulinaemia and hyperleptinaemia. 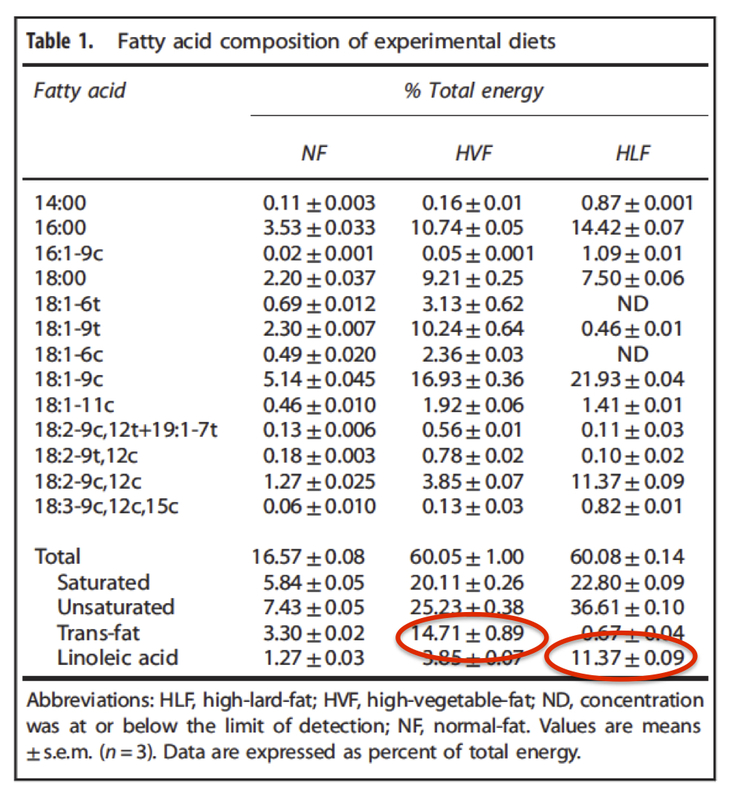 No one measured the linoleic acid content of the diet so we can assume, very safely, that the approximate 16% of PUFA in the fat suggested by the manufacturer, is a gross under estimate. No one would expect a diet like this to be anything other than cancer promoting. Throwing in a few extra CD36s will make it worse. 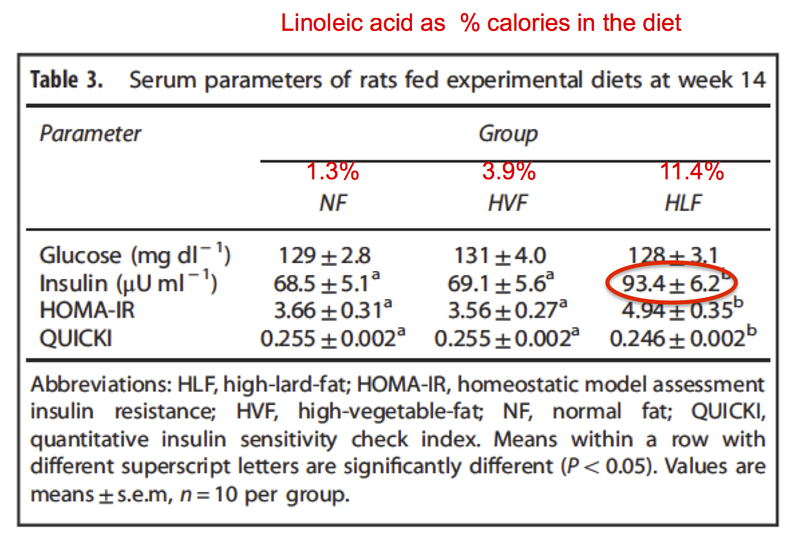 Is palmitate the problem in these "high fat" fed mice or is it 13-HODE, other PUFA oxidation products, insulin or leptin? Point three is the one I'm currently interested in. 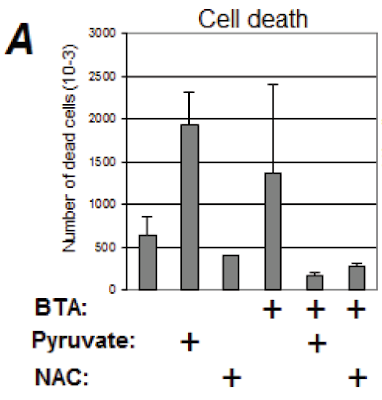 Pre incubation of the CD36+ cancer cells with 400micromolar unadulterated palmitic acid, for just 48 hours pre-implantation, promotes markedly increased metastasis when they are injected in to the mouse model. No PUFA, no 13-HODE, no hyperinsulinaemia. Just palmitic acid. This is undoubtedly the money shot for the research group. Now, what is going on here? From the focus of my blogging at the moment it's clear that palmitic acid is the highest driver of FADH2 input in to the ETC short of stearic acid. What will 48 hours of high level, uncontrolled FADH2 drive do to reverse electron transport (RET) and the structural integrity of complex I? This is a model. A concentration of 400micromol palmitate, with no other FFAs, just never happens in real life. 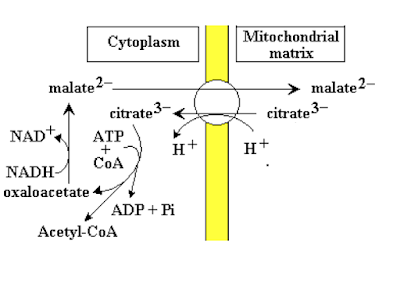 This model of extreme palmitate induced RET will force mitochondria to disassemble a pathological amount of their complex I. That's pretty obvious from the work of Guarás. The function of complex I is to reduce the NADH:NAD+ ratio and so disassembling complex I will do the inverse and raise NADH per unit NAD+. I went through the relevance of changes in this ratio, specifically for the generation of aggressive metastatic cancer phenotypes, in 2013 when I posted about Hoffer and B3 therapy for cancer prophylaxis and the modern versions using all of the clever stuff we do nowadays. 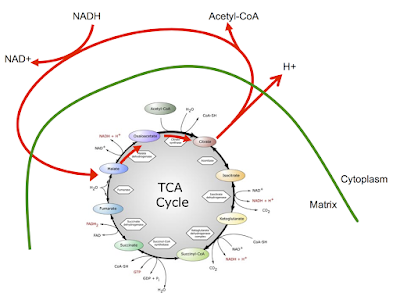 Of course you have to wonder about point two above; how much of the cancer promoting effect of obesity might be from the pathology of concurrently elevated fatty acids (reducing complex I availability so NAD+ generation) combined with elevated glucose (supplying the maximum amount of NADH) acting via the NADH:NAD+ ratio, never mind 13-HODE etc. A double whammy. Personally I'm not about to give up eating butter on the basis of this paper. But that's just me I guess. BTW, will blocking CD36 be an anti-cancer adjunct? Quite possibly, especially if it blocks 13-HODE entry in to the cell. Or even if it blocks FFA entry when people can't be ars*d to avoid hyperglycaemia while ever they have chronically elevated FFAs. Labels: Will palmitic acid give you cancer or fuel metastasis? 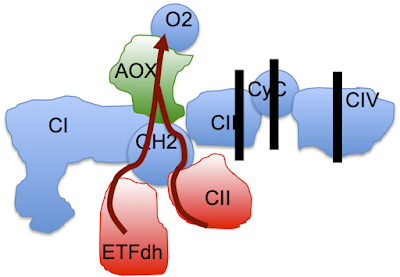 AOX may not pump any protons but it does preserve complex I by reducing the extreme levels of CoQH2 which drive RET. They subsequently went on to look at more physiological ways to generate RET and came to the conclusion that, as the balance of inputs from NADH vs FADH2 shifted, then the amount of complex I relative to complex III would need to be altered. 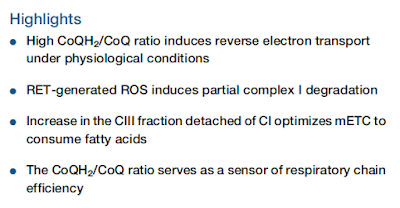 RET is the physiological signal to balance complexes I and III against NADH and FADH2 supply. Elegant is not the word. There's a lot of explanation in the text of what the colours and the asterisks mean. All I really wanted to lay down with this post is that there is a physiological process where FADH2 inputs control complex I abundance. That is how it should be. When you want a pathological model of complex I destruction, pathological levels of FADH2 input will deliver. 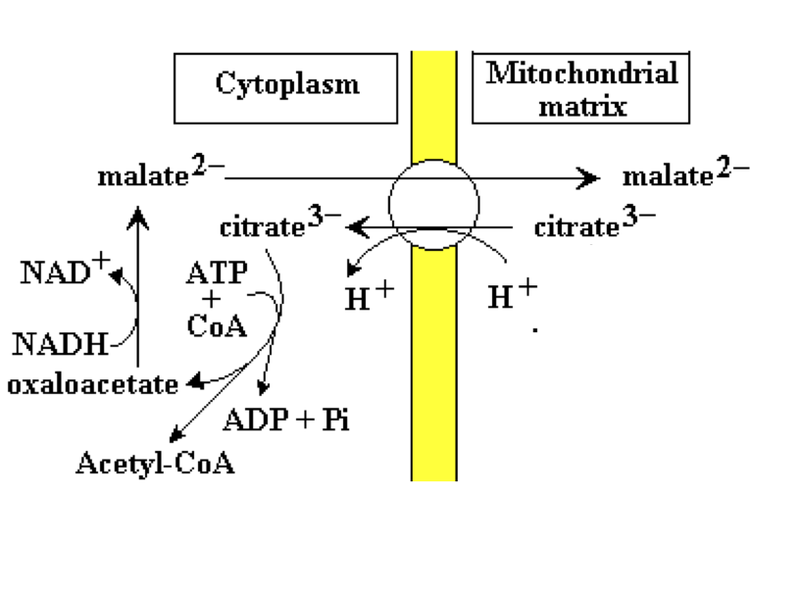 Mitochondrial fatty acid oxidation and oxidative stress: lack of reverse electron transfer-associated production of reactive oxygen species (another gift from Mike Eades). I've far from finished reading the paper, these are just some of the gems. At some point I really will get round to a bit more on complex I and RET to regulate susbstrate processing but there is rather a lot happening at home and there might be something of a delay. To say the least. While I think it is possible that metformin might inhibit mtG3Pdh at levels below those which inhibit complex I, the complex I effect may well still be equally real. "Remodelling the ETC - I like that. The idea of the ETC as a modular assembly that will be reconfigured as the substrate balance shifts. Directly by the effects of the substrates on its outputs". 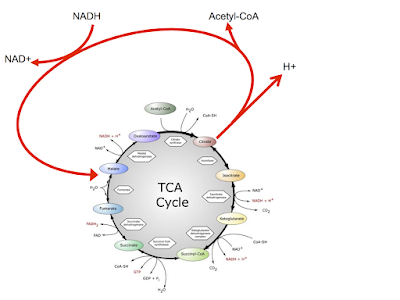 Now: What normal food will generate the highest FADH2 input to the ETC per unit NADH? Correct, stearic acid will. So what does stearic acid do to breast cancer cells in culture? Does it work in a rodent model? Do people with breast cancer have low stearate levels in their cell membranes? 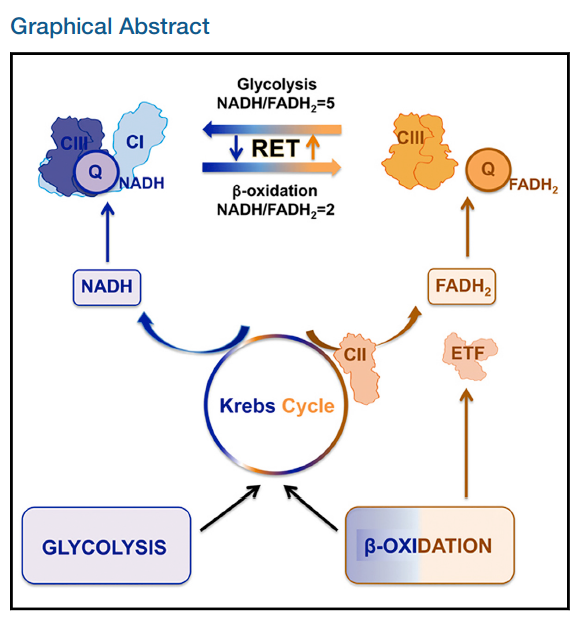 Does stearate-driven RET down regulate complex I availability in cancer cells which are partially dependent of glucose derived NADH oxidation via said complex I? And so kill them? The things to note are the assembly of complexes I, III and IV in to one unit and that there are enclosed molecules of both CoQ and Cytochrome C within the SC. 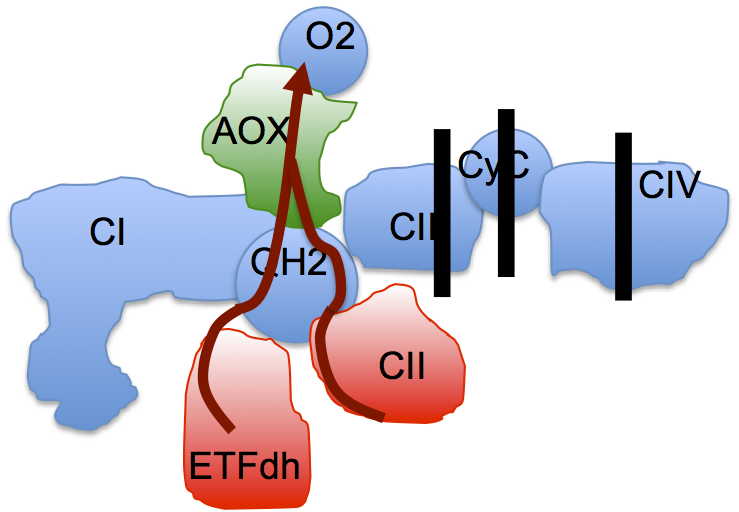 These electron transporters are isolated from their respective general membrane pools so as to ensure maximal efficiency of electron transfer within the integrated SC. The SC doesn't just happen. It's glued together by specific assembly proteins. In particular C III and C IV are joined by a protein called Cox7A2l (to be renamed supercomplex assembly factor I, SCAFI). Unless you are a C57Bl/6 mouse. If you are a C57/Bl/6 mouse your SCAFI is 4 amino acids too short. It doesn't work. The whole, excellent, paper by Lapuente-Brun et al is really about supercomplex formation and preferential assembly of the basic complexes. But because it uses the broken C57Bl/6 as an example of defective respiration it does bring home how irrelevant this particular mouse might be to more humans with a more normal metabolism. 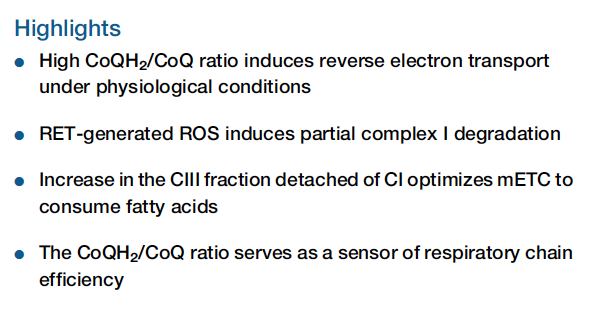 Quite how this defect of SC assembly might make that the C57Bl/6 mouse in to the strange metabolic item which it is is not clear. 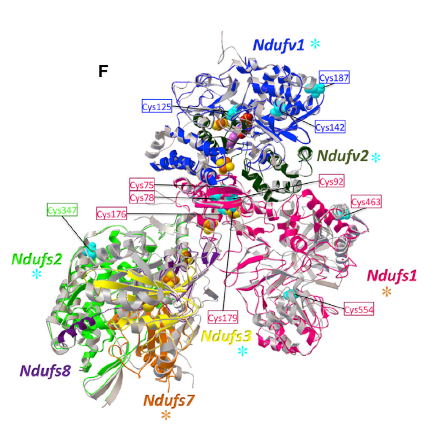 But, at the core of normal respiratory supercomplex formation, the Bl/6 mouse broken. That's an awful lot of mouse research which is broken. You could almost feel sorry for obesity researchers. But not quite. TLDR: Trans fats may not be as bad as they are made out to be. This paper is comparing a high linoleate diet (using lard) to a soya oil derived (Primex) diet where much of the linoleate has been industrially hydrogenated in to trans fats and fully saturated fats. The thing I like best about it is that, wait for it, they measured the fatty acid composition for their diets! HPLC and all that. Then, they put the results in the paper! On the down side their concepts about energy balance are pure CICO and rats have lingual receptors for fat which link to "hedonistic" centres in the brain. So they understand nothing, but we can forgive them for that. "Diet compositions are presented in Supplementary Table 1. Primex pure vegetable shortening, a mixture of partially hydrogenated soybean and palm oil, was used by Dyets Inc. (Bethlehem, PA, USA) to formulate NF and HVF experimental diets". Now these are measured, nothing is accepted from USDA food tables etc. So..... 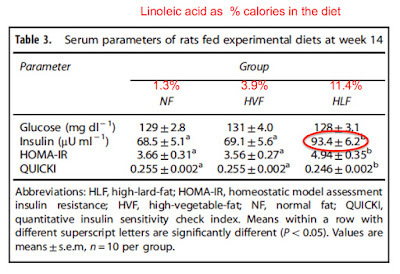 If we look at health outcomes (Table 3) in conjunction with diet composition (Table 1) it become pretty evident that, in these rats, trans fatty acid (TFA) feeding at 15% of total calories is positively health generating compared to linoleic acid feeding at 11% of calories. I did not expect this. Question: If you are in a position of power over innocent folks who are trying to eat healthy food, which fat would you ban? I was on a PubMed search looking for trans fat toxicity. 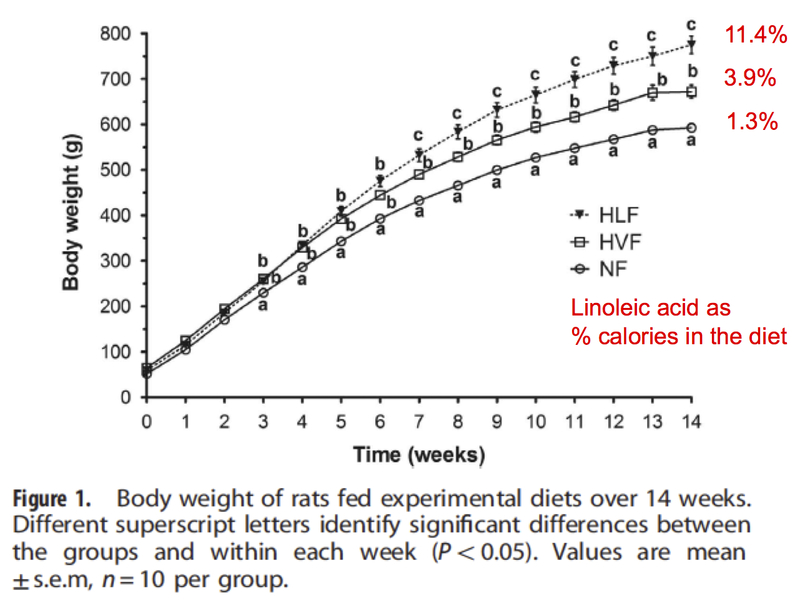 In this current study trans fats not only fail to cause insulin resistance, they render insulin-glucose parameters identical to the NF fed rats, despite the TFA fed rats carrying an extra 100g of adipose tissue. That is very interesting. You can't answer the whys and wherefores from this paper. The missing piece of information is probably FFAs. 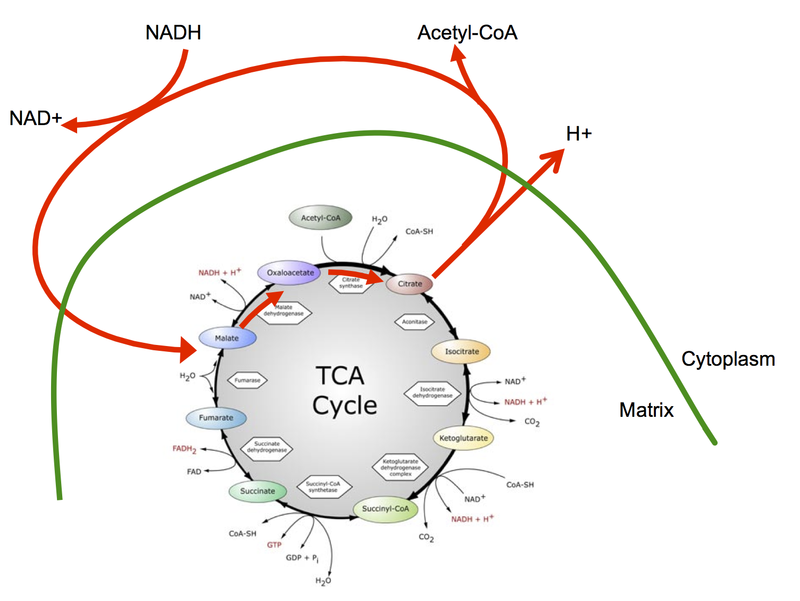 "Overall, results of this study clearly show that conversion of octadecenoic acid from the cis isomer [oleic acid] to the trans isomer [elaidic acid] in adipocyte media will substantially increase lipolysis and inhibit glucose oxidation and conversion to cell lipid". Just to clarify: Acute exposure of freshly isolated adipocytes to trans-oleic acid causes fat release, decreased glucose uptake and decreased glucose incorporation in to lipids. Sounds like a weight loss drug to me. 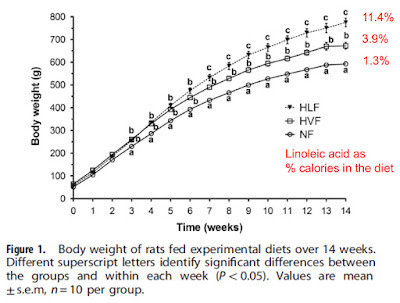 The only explanation I can come up with is that the adipocytes of the TFA fed rats are not as "full" as they should be, due to trans fatty acid induced lipolysis. Giving some "space" within an adipocyte allows the insulin sensitising effect of PUFA oxidation to show, certainly while fasting and lipolysis is the correct state to be in. Hence the fasting insulin levels are normal despite the 100g of extra bodyweight. Or you could theorise that excess lipolysis from the trans fats is being almost exactly matched by decreased lipolysis from the insulin sensitising effects of linoleic acid. The combination just happens to pan out close to normal, provided the rats carry 100g of excess adipose tissue. Some degree of post prandial hyperinsulinaemia/insulin signalling seems essential just to maintain those extra 100g of accumulated fat, but it's clearly not visible in the post absorptive phase. If anyone can come up with a better explanation, I'm all ears. 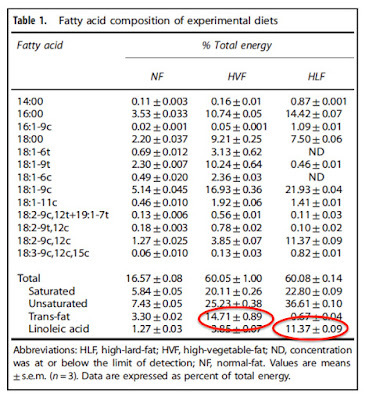 "The hydrogenated vegetable fat contained ∼25% long-chain saturated, ∼44% monounsaturated and ∼28% PUFA, with ∼17% of total fat as trans fatty acids (manufacturer’s communication)". With fat making up 60% of the calories in the diet, and that fat being 28% PUFA, this is somewhere around 17% of total calories as linoleic acid. That is a LOT of linoleic acid. At the time I thought that the trans fatty acids would be to blame. Nowadays I'm not so sure. How much of the bad rap that trans fats have received is from the PUFA which travelled with them at the time? Without mentioning the amount of fructose in the biscuits. Modern Primex is much more hydrogenated, so lower in PUFA, than whatever Axen and Axen used. It's far less obesogenic too. Other odd final thought: People who are obese and insulin sensitive: Are they the folks who eat most trans fats along with their hearthealthypolyunsaturated™ linoleic acid?????? ?